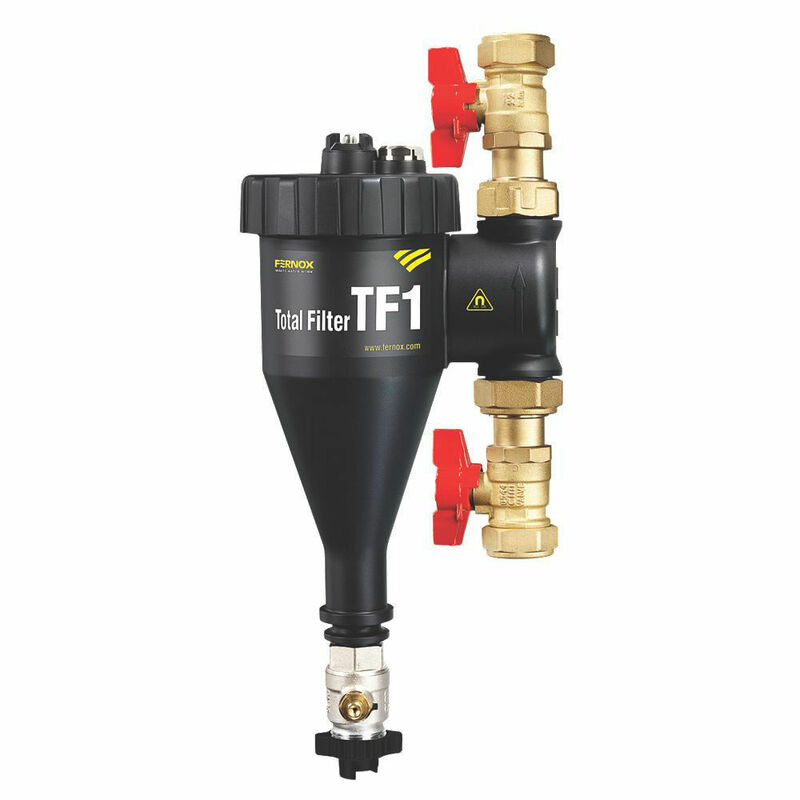 The Fernox TF1 Total Filter is a revolutionary in-line filter, which combines hydrocyclonic action with specially designed magnet assemblies, to remove both magnetic and non-magnetic contaminants from system water and contain safely within the filter. 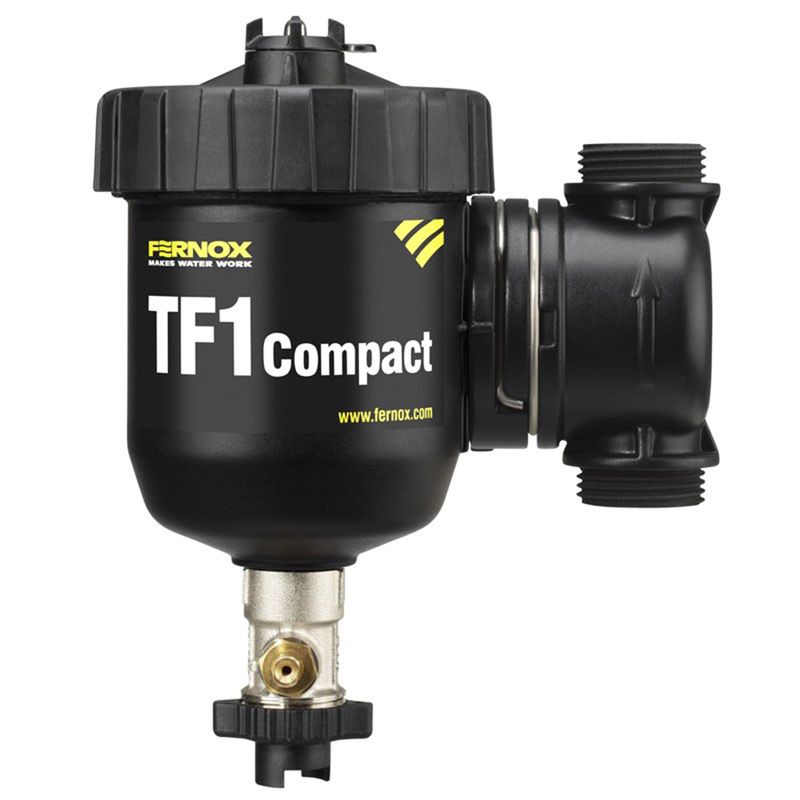 The Fernox TF1 Compact is a high performance in-line filter, which allows hydrocyclonic action to deliver contaminants to the unit’s specially designed magnet assembly, removing and containing them from the system water. The Fernox TF1 Compact Filter has been developed to fit into domestic heating systems where installation access may be restricted. In situations where headroom is limited, the TF1 Compact can be installed at an angle of 45 degrees without compromising performance, to allow magnet removal when cleaning the unit.